The achievements of Henry VIII's reign have often been obscured in the popular imagination by the story of his many marriages. It is overlooked that by 1547, when he died, England had broken with the power of the Roman Papacy, had become established as a rival of the European powers headed by the Emperor Charles V and Francis I of France and laid the foundations for the golden age of Elizabeth I. *** 1509 - Henry accedes to the throne on the death of his father Henry VII. *1509 - Henry marries Catherine of Aragon. *1516 - Catherine gives birth to Princess Mary. *1533 - Henry's marriage to Catherine is annulled. *1533 - Henry marries Anne Boleyn; Princess Elizabeth is born. *1533 - Henry is excommunicated. *1534 - Henry established as head of the Church of England. *1535 - Thomas Cromwell made Vicar of England. *1536 - Anne Boleyn is executed and Henry marries Jane Seymour. 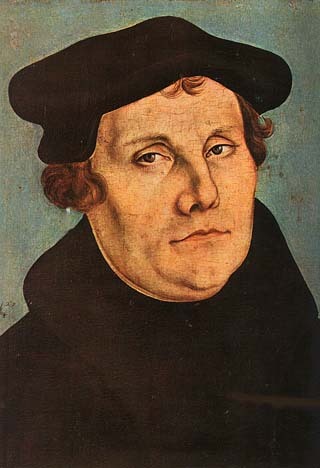 *1536 - Cromwell begins dissolution of the monasteries. *1537 - Jane Seymour gives birth to Edward (later Edward VI), but dies. *1540 - Henry marries and divorces Anne of Cleves. *1540 - Henry marries Catherine Howard. *1543 - Henry marries Catherine Parr. angry over practice of selling indulgences. formal statements against the Church. he thought that people should be able to interpret the Bible for themselves. also challenged the authority of the Pope. actions led to the rise of Protestant religions. Last of the Ming emperors In the face of the Jurchens, in which he did not realize how serious the rebel advance until they were almost in the Forbidden City, Beijing. Instead of facing capture, he committed suicide. As new forms of thought spread throughout Europe due to the Enlightenment, many women, including Wollstonecraft, took the first major stand for women's rights. We’ve all heard the saying “Columbus sailed the ocean blue, in 1492.” Well, in fact this saying is correct. During the 1490s this Genoese captain sailed unintentionally to the Americas. He was doing this in service to the king and queen of Castile and Aragon. Later we found out that it wasn’t India, but it was in fact the Americas. His discovery led the rest of the Early Modern period to new findings and adventures later to come. Though he has a day in America honoring his discoveries some people will argue that he shouldn't be honored because of his acts towards the Natives like enslaving them and bringing them back to Europe. But nevertheless, even though he claims to be the first one to discover America, in actuality, The vikings of Iceland, Norway, and Sweeden arived several hundred years earlier in the south-eastern part of Canada and Greenland. In 1687 he published the Philosophiæ Naturalis Principia Mathematica. The Principia Mathematic describes universal gravitation and the three laws of motion. established the city of Lima, Peru, and opened the way for Spanish culture and religion to dominate South America. conquered the largest amount of territory of any military leader and delivered the most riches to his country with the smallest expenditure of men and resources. sailed to Hispaniola in 1502. Pizarro remained in Panama as a colonizer and from 1519 to 1523 served as the mayor and magistrate of Panama City. Napoleon, second of eight children, on August 15, 1769. He was born within Casa Buonaparte in the town of Ajaccio, Corsica. Now, Corsica is a small island in the Mediterranean. Napoleon came from a minor nobility, and his father was an attorney. But, due to his father being off prosecuting some criminal, his mother had the greatest impact upon Napoleon, for he was hyperactive as a young boy. After being baptized into the catholic faith, his connections enabled him to receive a good education, at Autun, which is a religious school in Mainland, France. Though he never learned to spell, and spoke with a non-French accent, he was excellent at mathematics, and wished to become a sailor. However, he did not, instead being admitted into France's elite military school. If he instead applied for the British Royal Navy, the entire history of the world could have been different. He became an artillery officer, and was commissioned a second lieutenant in La Fère artillery regiment. But then it was that the tide of hate and anger boiled over, and the French Revolution was underway. and Corsician nationalists:all seeking to claim the island for their own. Napoleon supported the Jacobin relouvinationaries, who advocated for terror to replace all other forms of order, and led a riot against a French army. Then he managed to get the leaders of that self-same army to promote him to Captain in 1792. He put down a revolt against the new, republican, government at the town of Toulon, which was reinforced by British troops, and was given command of the artillery arm of France's Army of Italy, following which he became engaged to Désirée Clary, a woman of a wealthy merchant family. He fell out of popularity with the court, hence he was assigned a post to deal with a revolution in the country, which he refused as it was an infantry position, and infantry was demotion in his era. 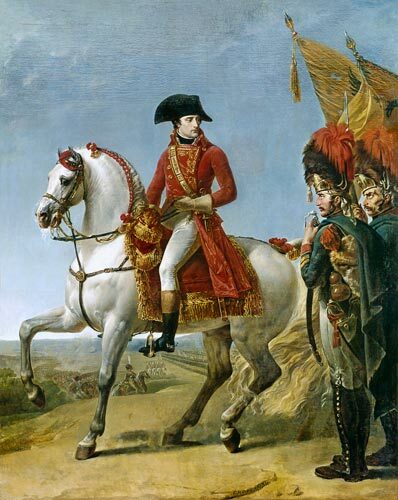 Because he refused the post, he was taken off the list of active generals, but regained his popularity after he put down a royalist revolt, and he married Joséphine de Beauharnais because he liked her more than Desiree. He then invaded Italy, conquered Venice, and used awesome tactics. Royalists gained more control in the Senate, and complained over Napoleon's looting Italy, so he kicked them out of the Senate. He then invaded Egypt, seeking to be able to attack the British in India, and cripple the power of his Enemy. 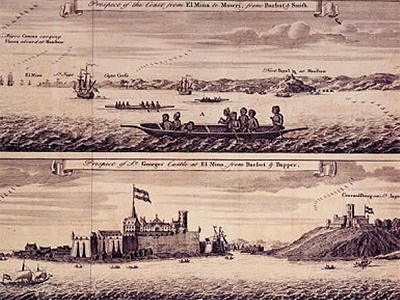 He conquered Malta and Egypt, though the British destroyed his fleet in the Battle of the Nile. Napoleon then invaded the Ottoman empire at Damascus, and, retreating from pillaging towns, he ordered men stricken with plague to be poisoned. Hearing of trouble back home in France, Napoleon set sail. It was fortunate that he did so, for messages pleading for his return had been lost. He quickly led a coup against the ineffective, unpopular french government, which was replaced by a new government which Napoleon dominated. He then invaded Italy and Austria, and then signed a temporary peace treaty with Britain. After the Haitian Revolution, the bankrupt government that could not defend Louisiana, sold it to the US. Then he crowned himself Emperor, and created a hereditary monarchy. He invaded Germany, and fought his greatest battle ever, and then allied with the Sultan of the Ottoman Empire, a long-fading power in the Middle East. Napoleon attempted to boycott all English goods, which epically failed, and then invaded the Iberian peninsula, where his army faced fierce resistance. Then he conquered the Papal States, for which the Pope excommunicated him, whereupon he was promptly abducted by officers of Napoleon, and, while ill, moved all around France, and did not return to Rome for another 5 years. In 1810 Napoleon married the Austrian Marie Louise, Duchess of Parma, following his divorce of Joséphine. He found his alliance with Russia breaking off, as the other nation geared for war. Napoleon decided to use defensive aggression to destroy his new foe, and marched into Russia, where he was forced to retreat. Hearing of this, all of the other nations invaded a 6th time, and they exiled Napoleon to Elba, a very small island with 12,000 people on it, where he was made leader. Bored, and concerned about the islander's well-being, he created an army and a navy, and carried out agricultural reforms. Upon hearing that he was to banished to a remote island in the Atlantic, he escaped and took control of France once more, but was defeated at the battle of Waterloo, and was exiled to Sy. Helena, where he died. Also known as Ivan IV, he was the absolute ruler, or Tsar (meaning Ceasar), of Russia in the 1580s. The name "Ivan the Terrible" came about because he wanted greater control of tsarist autocracy, so he killed hundreds of Russian nobles, or boyars, under "suspicions of treason." One other useless fact about Ivan IV is that the correct translation of his name in Russian means, "Ivan the Awesome." "Ivan the Terrible" was a nick-name given to him because of his many cruel actions. Ivan the Great ruled from 1462-1505 in Russia. He united many of the previously autonomous provinces and succeeded in freeing Russia from the Mongols. Lots of people had been attempting to overthrow the Mongols for many years and even won some battles against them. However the Mongols always were regaining control. Ivan the Great first subjugated the surrounding cities and then in 1480 refused to pay the tribute demanded by the Mongols. This set the stage for a battle that never happened. The troops for both sides faced off against each other but no battle was ever fought. Instead, both sides retreated. This was in effect victory for Ivan the Great because he hadn't paid the tribute and tribute was never again demanded. Prince Henry financed annual expeditions down the western coastof Africa, and outward to islands such as the Azores, in an effort to find a sea route to the Indies, establish trade with Africa, and find the fabled Christian kingdom of Prester John. He brought back things like slaves, spices such as pepper, and many stories of gold hoards they had not yet been able to find from Africa. Is credited with inventing the first printing press. The moveable type originated in China but Gutenberg brought moveable type to Europe and made it more popular throughout the world. The printing press increased both the speed and ease that books could be copied. This then fostered a rapid development and sharing of arts, sciences, religious and other ideas. Scientific Revolution brought a new idea of thought and movement. The Enlightenment was mostly centered in France but with advocates throughout the West. Enlightenment thinkers supported scientific advance and used scientific study to test and improve the study of human society. The idea behind that was directed towards the rational laws in society. Criminologists believed that harsh punishment and laws only made crime in societies worse. They found that to decrees crime, a good society would rehabilitate and educate the criminals. Decent but not loosely controlled laws, constitutions, and privileges were the best way to have a decent society. Adam Smith, a Scottish philosopher and writer of Wealth of Nations argued that people act in self-interest and when it comes to competition it would help encourage general economic advance. The study of human behavior through scientific research helped France and surrounding Western regions improve economy advances. inspired or evolved into the Unitarian and Universal churches. Deism can be more closely related to Agnostics and Atheism, due largely to their refusal to believe in most of the things that mainstream Christians believe, mainly the miracles and revelations the apostles stated. Thomas Jefferson, 3rd U.S. president and outspoken Deist, went as far as to rewrite the New Testament in an attempt to provide a more accurate depiction of Jesus. There are two different kinds of Deists. There are Critical and Constructive deists. Critical Deists believe in the rejection of all religions based on books that claim to contain the revealed word of God and of reports of miracles, prophecies and religious "mysteries". Constructives believe that God exists, created and governs the universe, gave humans the ability to reason, and wants human beings to behave morally. Most Deists like the Free Masons refer to God as the Grand Architect. A galleon was a large, multi-decked sailing ship used mainly by European states from the 16th to 18th centuries. Whether used for war or trade that had sliver from The new world going to Spain, they were generally armed with the demi-culverin type of cannon. The Scientific revolution was accompanied by many great thinkers. William Harvey showed the circular movement of the blood in animal with a heart as the "central pumping station". Galileo really helped move along the scientific revolution by publishing Copernicus's discoveries and adding some of his own findings about the law of gravity to it as well. He also shunned the traditional ideas of life too. Rene Descartes furthered Galileo's ideas of not basing everything on religion by introducing skeptical review. This said that human reason could develop that would explain how nature worked. 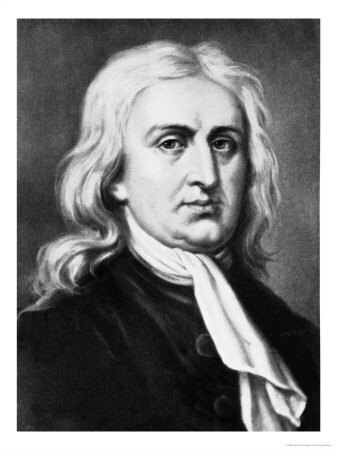 The peak of the scientific revolution was when Isaac Newton published Principia Mathmatica. There was a deeper interest in astronomical and physical observations after he published this. These were important nations, almost always European, that profited from the world economy and that had many colonies, or dependednt nations that needed them to support them. They mostly were involved in exporting goods rather than importing them, the fundamentals of mercantilism. found few champions in the political literature of the region. The Age of Discovery was a period from the early 15th century and continuing into the early 17th century, during which European ships traveled around the world to search for new trading routes and partners to feed burgeoning capitalism in Europe. They also were in search of trading goods such as gold, silver and spices. In the process, Europeans encountered peoples and mapped lands previously unknown to them. This factor in the early European modern period was a globalizing character; the 'discovery' of the Americas and the rise of sustained contacts between previously isolated parts of the globe was a important historical event. Unfortunately the Asian sea trading network had no central control and military force was usually absent from commercial exchanges within it. The Portuguese easily exploited this system. The Triangular trade was where slaves were shipped off to the Americas. They also carried sugar,tobacco and other goods along with the other cargo to Europe. The products would be sent to the coast of Africa and the triangle would start again. Slavery was very crucial and important to the economies of the countries and that is why the triangular trade was popular and important to some people. • Janissaries were troops who belonged to infantry divisions. • All of the troops were taken in as young boys, mostly Christians, who’s families were captured by Muslim armies. • The boys were put into a school and converted to Muslim, and were taught how to be troops. • When they grew up, they became Janissaries or they worked in the palace or for the bureaucracy. • The Janissaries became very important in the Ottoman Empire. Factories became very popular during the Early Modern Period when the empires in Europe became power-hungry for raw materials in their far-away colonies. By definition, factories are European trading fortresses and compounds with resident merchants; utilized throughout Portuguese trading empires (and European trading empires) to assure secure landing places and commerce. Factories on the coast made it much easier for merchants to sail to the said destination instead of traveling my land. Merchants who traveled by land couldn't bring much to sell, but by sea, merchants could fill a huge boat full of goods from Europe to sell to the colonies. El Mina is the most important of early Portuguese trading factories in forest zone of Africa. The changes of the early modern period affected people in many parts of the world.Many Indians in America died because of all the European and African immagrants that brought diseases like smallpox and measles.Europeans used silver to pay for Chinese goods. The Chinese became wealthy and the Chinese government began to require that taxes be paid in silver, that brought the Chinese to find new ways to obtain money. This put the Chinese even deeper into poverty. Many africans were taken from their homes and were sent to the Americans. Those who lived threw the trip to America found out that they were going to be living their lives as slaves. One main social change during this time was the pressure to work harder. The early modern period was increasingly commercial and crowded. Population increases in some regions demanded more from workers to help sustain families and villages. Many manufacturers and landowners tried to force their workers to increase their pace. The new forms of race-based slavery in the Americas placed greater emphasis on production. In western Europe, Protestantism preached a work ethic that convinced many people that labor was a way to demonstrate God's grace. People of all ages responded to the pressure to work harder. Children labor increased in many regions. Many European children were forced into service as indentured laborers. By the 18th century, london orphans were sent to work in new English factories or North America as indentured servants. Even in old age, adults had to work if they wanted to survive. The pressure to work harder and longer was a personal side to the systemic change that were reshaping the world. There was a series of technoological improvements during the 15th century. Deep-draft, round-hulled sailing ships were invented by the Europeans. The Europenas were using the compass and making improvements to it. The Europeans also improved map-making and other navigational devices. Explosives were being used in guns by now. In the 1400s, the Portuguese set up factories along the coast of Africa and traded with local rulers. Popular trade items included gold, pepper, and ivory. African rulers traded slaves for weapons and other goods. They were eager to acquire more slaves to trade. Since the Europeans wanted mostly men, a shortage of men in the Slave trade areas became prevalent. 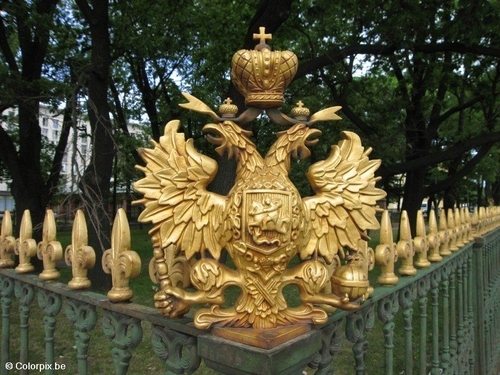 As a system of government, it is known as Tsarism. Many different forms of servitude already existed in Africa before the Europeans came. Servitude varied from peasant status to chattel slavery. Peasant status consisted of agricultural laborers who received protection from their landlords. In return, the laborers had to work the landlords' land. In chattel slavery, people were considered objects. Slaves were used as servants, concubines, soldiers, and field workers. Sometimes slaves attained positions of command trust. Because slavery already existed in China, the Europeans were able to exploit it.